Edgewood Tahoe Golf Course is located on the south shore of Lake Tahoe in Stateline Nevada right near the casino corridor. Edgewood Tahoe is one of only a hand full of wedding venues in Tahoe that is located right on the sandy shores of the lake. With just that one fact in mind it’s one of the most poplar and sought after wedding locations in all of the Tahoe Basin. 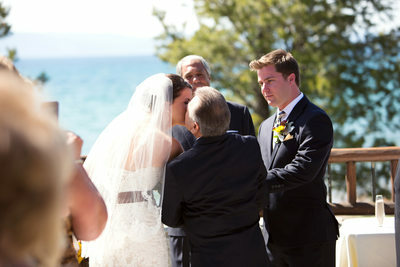 There are many other factors though that make it one of the best or if not the best wedding venue in all of Lake Tahoe. Most weekend weddings are booked as far in advance as two years out since it’s that popular of a location. 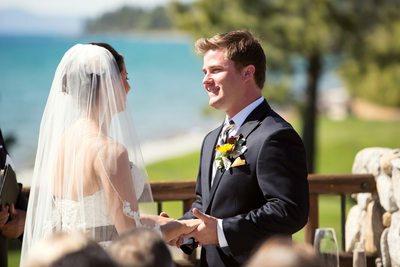 Once you visit Edgewood you will know immediately why most couples who are looking for Tahoe beach weddings get married there. From there pristine landscape all around the club house and golf course to their private sandy beach with no one in sight. You will have many wedding locations to pick from to have your wedding at. Edgewood would is basically divide into two sides, The North Room and The South Room. The North Room is the bigger of the two and host weddings of a 100 or more guest. You have the option to have your wedding ceremony on the grand deck overlooking Lake Tahoe just outside the reception room or down on the grassy lawn right next to the shoreline of Tahoe. The North Room is filled with huge windows so know matter where your guest are seated at dinner they will have a view of the lake. The South Room is the smaller of the two and houses weddings of a 100 guest or smaller. Just like the North Room you can get married on the side deck of the South Room with views of the lake or have the ceremony down on the sandy beach. Even though the South Room is the smallest reception room at Edgewood it still gives you lots of space for dinner tables and a good sized dance floor for when the music starts. Plus you have a nice fire pit for guest to enjoy on the side deck. There can be up to four weddings in one day at Edgewood during their busy season with two morning weddings going on at the same time in the North and South Room and then two evening weddings staring around the same time in the North and South Room. 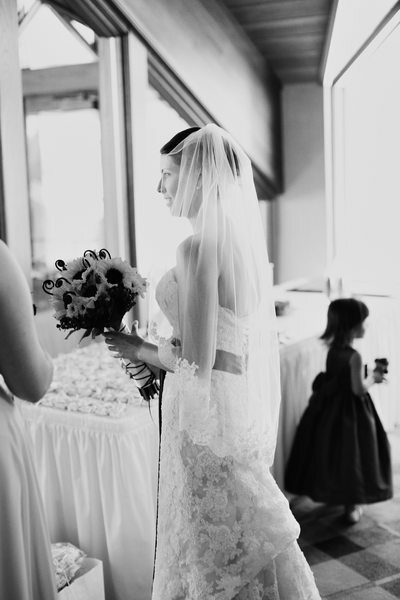 The staff at Edgewood are very professional and the entire site runs like a well oiled machine, which gives little opportunity for anything to go wrong on your wedding day. 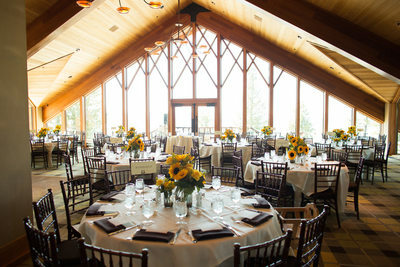 The other plus to Edgewood is that they also host weddings all year long and even into the winter, which most Tahoe venues don’t do. I might be a little biased to Edgewood Tahoe since my wife and I had our wedding day there years back. The one thing I have to say about Edgewood is that you will not regret having your wedding there. Please contact Edgewood for more information.